Now that I have been blogging for awhile, I get e-mails almost daily from people who want to start their own blog. There are a few questions that I get asked pretty often, one of them being “how do I make money as a blogger?”. While this is a great question and one I asked myself after blogging for a few months, this isn’t really a question that someone who hasn’t even started a blog should ask (at least not in my opinion). If your sole goal of starting a blog is to make money, then you are heading down the wrong path. Blogging is hard work. I spend hours drafting a blog post, proofreading, taking photos, editing photos, designing graphics, promoting on social media, and more. I cannot tell you how much time I spent on designing my website. All of this hard work went into my blog before I even thought about making any money from it. I knew that I wanted to have a place to gather my thoughts, share them with others and hopefully help someone else in the process. Of course, I wanted my blog to be successful. I wanted someone to read it. I wanted to help someone. If I made money in the process, then great. So, when a potential bloggers comes to me and asks “how do I make money as a blogger?”, I try to steer them in the right direction. 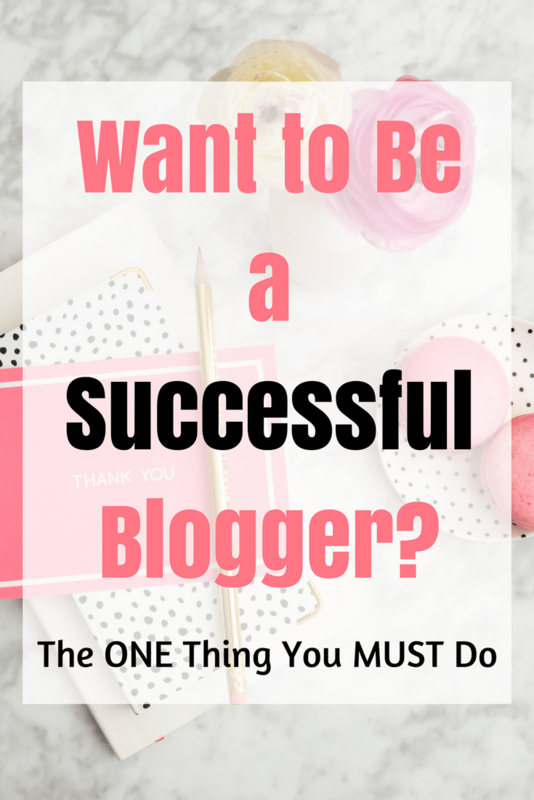 The question that should be asked is “how can I be successful with my blog and what does that look like?”. If making money is somewhere in your ‘bigger picture’, that’s a wonderful goal, but please understand: making thousands of dollars your first week in blogging is rare to impossible. Know your ‘why’, why are you blogging? Why do you love to write? Why did you start your blog? If you know your ‘why’, you are less likely to compromise. Be protective of your brand. This looks different for each blogger. No matter what, never ever copy another person’s ideas or photos. Not only is this illegal, it’s easy to spot and find and it will ruin your integrity as a blogger. If you are out of ideas or content, don’t copy others’ content, just take a break. Be willing to learn and make friends. Some of the nicest people I’ve ever ‘met’ are bloggers. They have taught me so much and we have become good friends. Be willing to learn from other bloggers, community over competition. When it comes to working with brands, be transparent. Don’t promise 10,000 sales. They know you are lying and there is no way you can deliver on this. Share your statistics and let the brand make their decision. Don’t compromise your integrity to earn a dollar. I cannot tell you how many times I have turned down working with brands or guest bloggers because their product or vision didn’t fit my blog and brand. This may be because I’ve used the product before and I wasn’t impressed. It could be because the guest blogger didn’t have a post that I felt was useful for my readers, instead it was just them trying to sell a product. Sure, I could have earned money from posting or writing about these items, but at the end of the day- I would have been compromising my integrity. To me, that isn’t worth any amount of money. What does integrity look like to you? Oh I 100% agree! This is so necessary! I agree with this! But I also think there is another thing you need and that is persistance! Oh this is SO true! Integrity is everything in blogging! I love this! When those offers of money first start to trickle in, it’s SO easy to say “yes! I will work with you!” to everything since you’re so excited. I definitely had a few missteps in the beginning of monetizing my blog because I couldn’t believe someone wanted to pay me for my blog time! Yes! I agree, it’s so easy to say ‘yes’! Great post. I totally agree with you. Integrity is very important, yet it is one of the few things that I haven’t come across very often on my blogging journey. Thank you for putting honesty and integrity high up on your excellent list. I have seen so many blogger sell their soul for a little money, but in the long run the audience always knows and only follows those who are true to what they are doing. I would also like to focus on content because off late content has also taken second spot when it should be essential too.